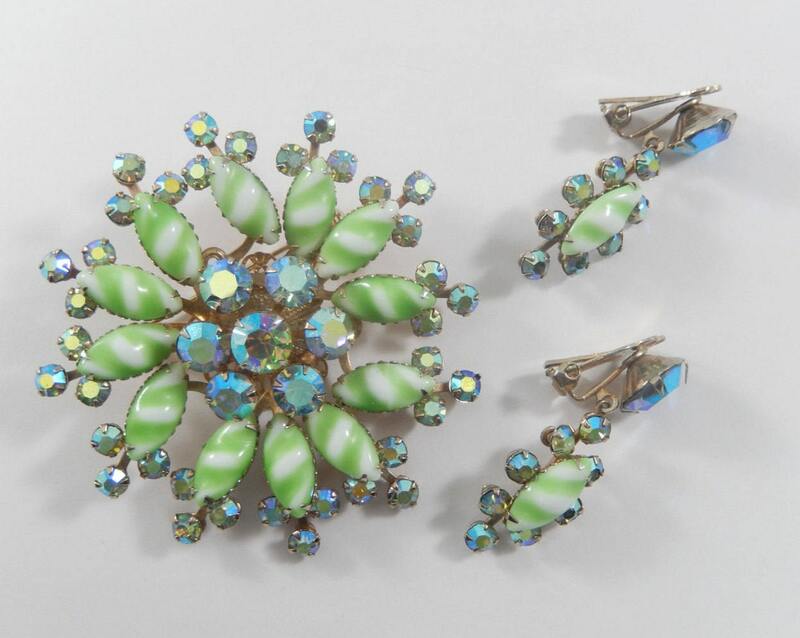 This is a stunning vintage AB rhinestones and glass brooch and earring set. The brooch is a flower design with green striped textured milk glass navettes as petals. The center is an AB rhinestone surrounded by six more of the same. The end of each petal has three small AB rhinestones . It measures 2 1/2" in diameter and the pin closure is straight and closes smoothly and securely. 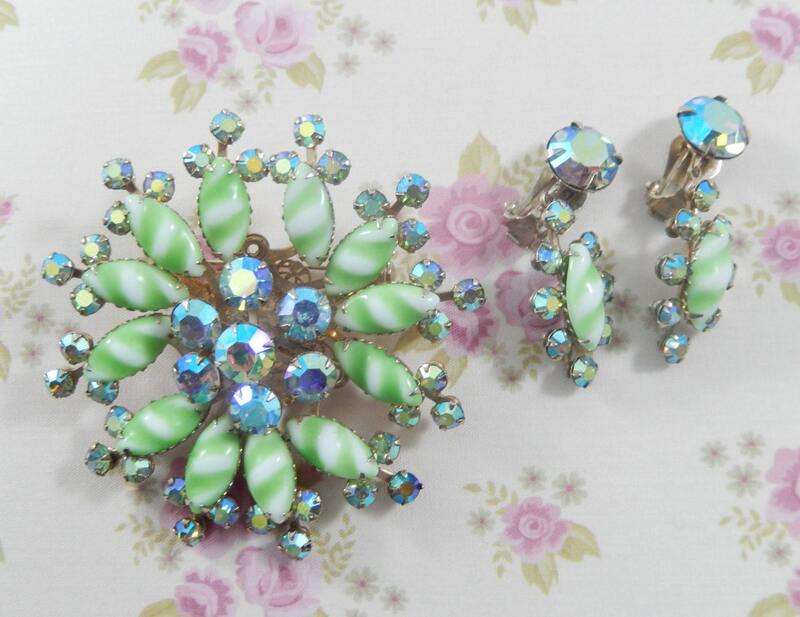 The clip earrings are one green striped milk glass navette surrounded by eight AB rhinestones that are dangling off a large AB rhinestone. All of the rhinestones in this set are faceted and prong set. 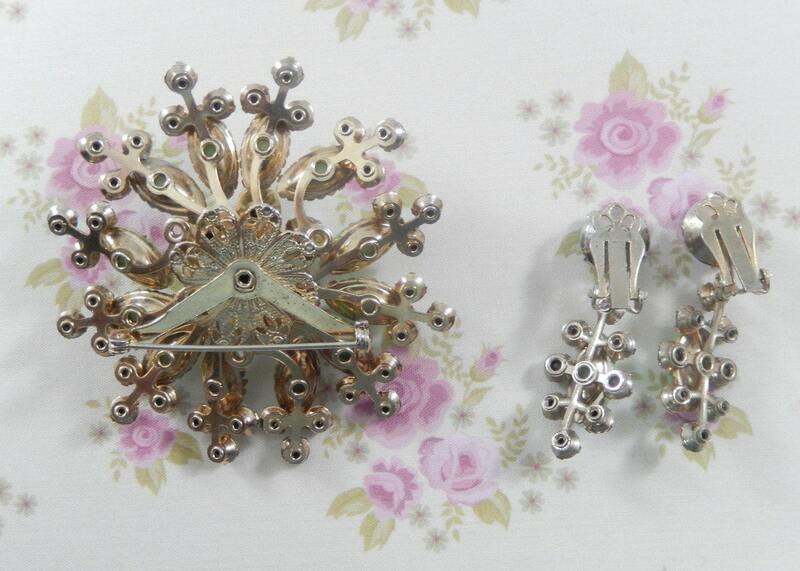 This set is unsigned but due to the construction on the back of the brooch with a filigree back and rivet construction this is likely a Beau Jewels. This is an intriguing set with the striped milk glass and would be a great conversation piece!